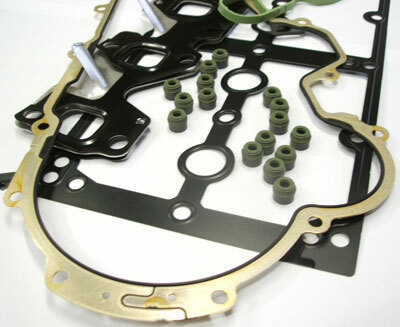 The sales program of Guarnitauto includes more than 2000 kinds of gasket sets (different kits): full engine overhaul sets, head sets (upper side of the engine), gear box sets, special kits for marine, agricultural engines and industrial engines in general; a large range of miscellaneous gaskets is available for our customers. The high quality and the continuous research of new materials put our range only behind the original spare parts. The group of the chemical products includes two of the best silicone compounds on the world market (allowing the parts to be disassembled easily and assuring an excellent seal to the highest temperatures).